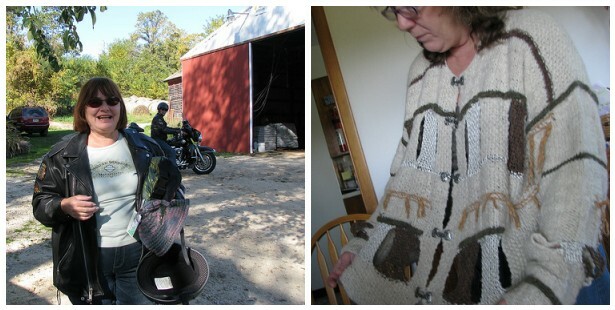 Joyce shared her studio with us on one of Wisconsin’s loveliest of fall days. So lovely one of our members came via motorcycle. It was a memorable image of Elin walking up in her Harley Davidson jacket; with her arms filled with her natural dyed yarns and her motorcycle helmet. The small amount of guilt I felt about not being home weaving was easily erased upon spying Joyce’s apple pies. 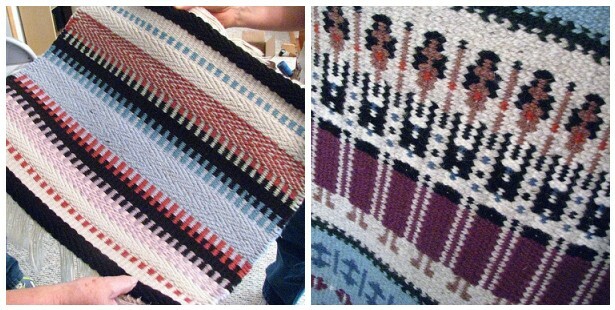 Life is short, and pie and friendships with fellow weavers are to be treasured. Thanks for having us Joyce. You are right, life is short and pie/friendship with fellow weavers is to be treasured…and believe me I thought about all of you while I was painting and painting and painting! 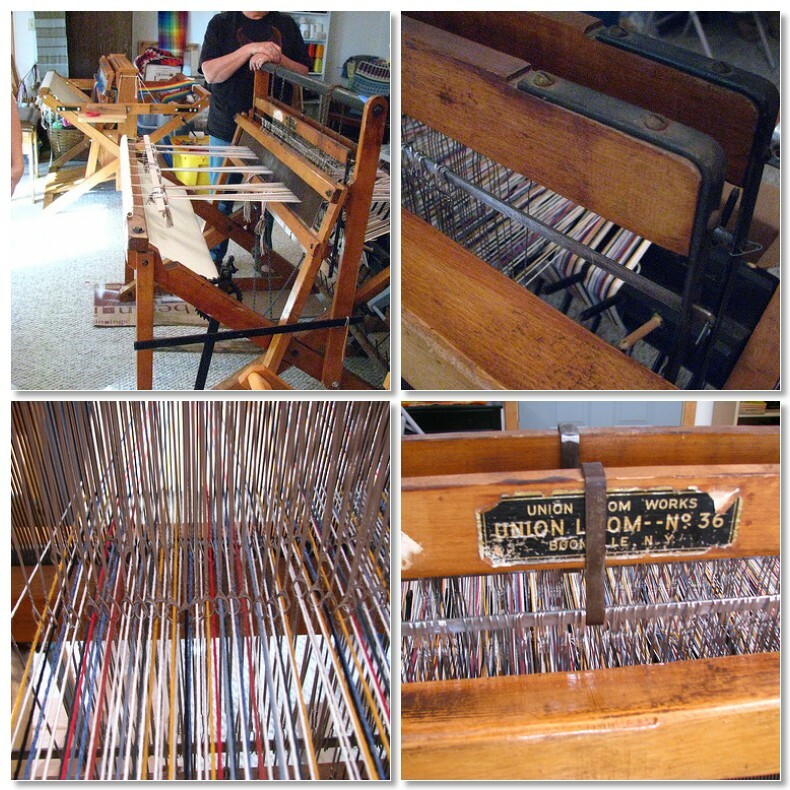 I so seriously wanted to come, but what lays ahead of me in this basement is so daunting I just felt I had to work on my weaving space. Drats! 'Tis my joy to say "Thanks" for coming to my home and studio! Joanne, you can come any time — just call.